Are you evaluating strategies for your company’s voice environment? If you’ve done your homework you’re probably wondering what happened to plain old telephone lines. Do you even need a phone system or should you use a system in the cloud? VoIP profiles like those you get from a cloud based phone system differ from SIP trunks issued by carriers to provide dial tone to your PBX. Old phone lines (POTS or Plain Ole Telephone Service) provides dial tone by pushing electrical signal over copper. SIP trunks provide dial tone over the internet or another circuit. VoIP profiles deliver dial tone AND all of the features of a VoIP system via the cloud, making that dial tone and feature set accessible anywhere you can get an internet connection. 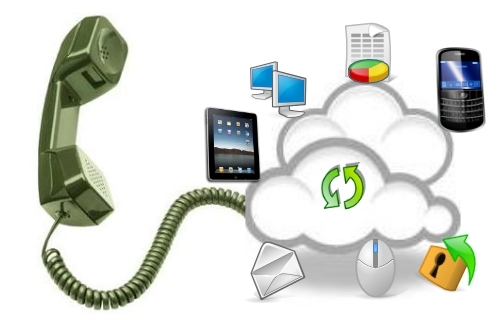 A VoIP profile can make a call from a desk phone or soft phone that comes with the service. You can make a phone system accessible remotely or via a soft phone however a VoIP profile comes that way out of the box. It should come equipped with security features like MAC address and two factor authentication. Since the VoIP provider is responsible for the whole shebang from the phone to its connection to the PSTN, they’re liable for everything that happens in between. To make it simple, a VoIP profile is basically its own phone system. A SIP trunk is just a telephone line providing dial tone to a phone system. Unlike regular phone lines, a SIP trunk can provide a telephone system with dial tone over the internet. By using IP addresses and other data like MAC addresses, a SIP trunk can securely provide dial tone. Phone systems can be set up to perform like a cloud based system but they won’t have the redundancy and failover capabilities of top notch cloud based phone system provider. After all, that’s their business. Most providers have globally redundant switches for their PSTN access and feature switches whether 5ESS, Metaswitch, Broadsoft, or even Asterisk based providers. Connection to the PSTN or Public Switched Telephone Network is what allows two people on telephones to speak to each other. That dial tone is what SIP trunks or POTS lines provide. Additionally, they allow for basic features like Caller ID, Three Way Calling, Call Forwarding, E911 capabilities and some more advanced capabilities like Destination Not Found Automatic Call Redirect. Additional features that come with VoIP profiles, however, include Find Me Follow Me, Voicemail to Email, Voicemail transcription, Fax to Email, Conferencing, Team Messaging, and collaboration. Users are required to manage and maintain their own E911 settings so that emergency services don’t try to rescue you at the office when you’re really working from home. 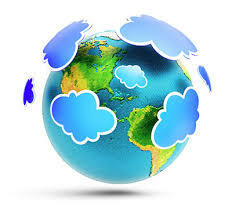 A VoIP profile should cost a bit more but theres a lot more you can do with them. SIP trunks are concurrent call sessions but VoIP profiles may have their own outgoing line or simply a Direct Inward Dial. It’s common to see a ratio of 3 phones to 1 outgoing call path but every business has unique needs. Burstable SIP trunks are offered by some providers to increase or decrease the number of available call paths which is cool but does have potential drawbacks in billing. What does your voice environment look like today? How are your users interacting with their voice technology? Do efficiencies exist using new technologies? Can you be more productive?